As a fully qualified makeup artist, beauty therapist and session hair stylist, please follow my blog journey.. Please ensure that you have read and understood the terms and conditions below prior to booking. This document forms part of the agreement for makeup and/or hair services between you and Laura Sutherland Makeup. You are required to sign and date the ‘Consultation and Booking Form’ confirming your agreement to these terms and conditions. Please contact Laura Sutherland Makeup via the booking page or via email at info@laurasutherlandmakeup.com with your date, location, services required, email address and contact no. On receipt of a reply please let me know if you would like to secure the date. I will then send to a ‘Consultation & Booking Agreement’, which should be returned along-with your booking fee. Your booking will not be confirmed and reserved in my diary until your booking fee has been received and the agreement returned. If you wish to pay your deposit at al later date please note that I cannot hold your day for you. Should you wish to add further services to your booking at a later date please inform Laura Sutherland Makeup so provisions can be made to your booking, a new 'Agreement Form' completed and final invoice updated. If further services are requested on the day and are possible within the timeframe, they should be paid for before the services are undertaken. Should you wish to change the date of your wedding day booking, please note it will be subject to the prices at the time of the revison request. The minimum booking must always be met for Friday - Sunday weddings. As a professional business I provide information and communicate via my business email. This enables me to track all correspondence so I don't miss any valuable information about your special date. I am very happy to arrange a call following email correspondence to discuss any queries in further depth, but please note that I am unable communicate about bookings via social media or text message as it is easier to track all arrangements when they are maintained in one format. My business hours are 9:00am-6:00pm, however, during those hours I may still be on location so all communications should be given 1-3 business days for a response. Over the years I have picked up lots of hints and tips that help to make your wedding morning preparation as fun and happy as possible. It also contains information for your wedding party on how to prepare their skin and/or hair for your special day, time keeping and setup. Please make sure when I send you this information it is shared with all members of your wedding party if applicable. A £50 booking fee will be required to secure the date of your wedding at the time of booking and should be paid via bank transfer. The booking fee will be deducted against the cost on the day (not at the trial). The booking fee is only refundable 6 months ahead of the wedding date after a cancellation is made in writing to info@laurasutherlandmakeup.com This will be minus £10 for administration charges (as a lot of emails tend to be sent during a consultation process). Dates cannot be confirmed until booking fee is received. If wedding day is within 4 weeks of booking, the full payment amount will be required to secure the date. A £50 retainer is also requested for special occasion bookings of £100 and above. Trial payments should be made ahead of the trial via bank transfer ahead of the date or with cash on arrival at your trial. The trial will not commence without payment. Wedding payments can be paid in full via bank transfer one month prior to the wedding. If members of your bridal party are making individual payments for services, it is the bride’s responsibility to collect payment and forward to Laura Sutherland Makeup when the final balance is due. Large bookings payments can be paid in full via bank transfer one month prior to the wedding. A trial for makeup and/or hair is advised for any bride making a wedding bookings. More than one trial can be booked at different times depending on how many styles you wish to trial. Trial appointments are available for bridal clients, wedding party members and for a special occasion bookings if requested. Please click here to read full trial information *must be read in full prior to trial appointment*. Payment for trial appointments is non-refundable as you are paying for time and a service. It is often difficult due to wedding bookings to be able to schedule trials at weekends. I can advise you on availability on request. Weekdays are best due to a busy weekend schedule. Trials generally take place at either Sutherlands Hair and Beauty – 9 High Street, Newport-on-Tay, DD6 8AB or my studio room in Edinburgh where both are ideally set up for trial appointments. Other members of the wedding party are also very welcome book a trial. If requested I can undertake a longer consolation with other members of the bridal party via Facetime or email for an additional fee. Cancellations should be made in writing to info@laurasutherlandmakeup.com and will only be accepted if they are submitted the person who made the original booking. If a wedding cancellation is made prior to having a trial and is 6 months ahead of the wedding date a full refund of the booking will be made minus £10 for administration charges (as a lot of emails tend to be sent during a consultation process). Following a trial if you do not wish to proceed with the booking, confirmation should be made in writing to info@laurasutherlandmakeup.com within 48 hours. If this is 8 months ahead of the wedding date your full deposit (minus the administration charge) will be returned. If 6 months ahead of the wedding date, 25% of the deposit will be returned. If your cancellation falls within 6 months of your occasion date your deposit will not be returned. This is due to the fact that it is unlikely that your date will be filled with another booking. If for any reason you have to cancel your booking, you must do this in writing via email to info@laurasutherlandmakeup.com 2 months prior to your wedding. If notice is given after this time, the full outstanding amount is payable. The same terms above apply to large special occasion bookings (£100 and above). Acceptance of completed service by client is acknowledgement that the service is done to his/her satisfaction on the day of the event after the service is completed. In the unlikely event Laura Sutherland Makeup has to cancel a booking (medical, accident, severe weather conditions - where the ‘Met office’ has issued a ‘Red’ warning) a refund of monies due on the wedding day will be refunded. I will endeavor to secure the services of another makeup artist and/or hair stylist where possible and provide them with full details from your trial appointment. Don’t worry – I can help guide you through this. The information is just a guide as to how long each service generally takes. What style of makeup and/or hairstyle are your looking for? What time would you like to start and what do you need to be ready for? General makeup (even minimal ‘no-makeup makeup looks) take around 45mins - 1hr. For bridal hair and makeup I usually reserve an hour for each service. Full on glam, precision, Asian bridal styles can take up to 90mins. Extra time and cost would have to be factored in for looks such as glitter cut creases etc. Hair depends on style, length and thickness, whether padding or extensions or padding is required and can range from 45mins to 1hr. Please let me know in advance if there are any additional extensions to be added to the style. All makeup and/or hair services must take place in a singular location. Moving kit from room to room takes time, which will not have been factored into the schedule. Your understanding is appreciated. Please set aside a dedicated area that won’t be needed for photography, dressing etc. If we experience unforeseen delays which are out of our control refunds will not be given in the event that one or more services are forfeited as a result and no compensation will be offered if we overrun. If you are aware of factors, which could delay or hinder our journey, such as diversions, road closures, speed restrictions, match days, market days, satnav issues etc. please advise us as soon as possible so we can factor this into our route. No refund or compensation will be offered for delays caused by other wedding vendors, guests, or members of the bridal party. A minimum of 45 minutes will be allocated for hair or makeup application per person. If you suspect any member of your bridal party may pose as a challenge in any way, they are encouraged to have a trial to avoid potential delays on the day. You must ensure that our team will be working in a suitable environment with adequate electricity points, tables and chairs (specified in the ‘On the Day Information’. Please ensure every member of your party is aware of timings on the day and that they need to be, and remain, available. You are to inform us of any allergies or reactions prior to, or after, any makeup application or hair styling. If no known allergies are stated we cannot be held liable for any reactions, injuries, losses, damage, costs, claims and actions that may occur to you or any other member of your party. Prior to having makeup applied or hair styled please ensure you and your party are prepared, to avoid leaving the chair whilst we are working. Please ensure teeth are cleaned, you have been to the toilet and contact lenses are applied (if applicable), before sitting in the chair. Also make sure you are makeup free, (we will prep your skin.) On a wedding day, time is of the essence. Please ensure hair is clean, completely dry, and free from product. If any of your bridal party has wet hair they will be expected to dry it thoroughly before we start unless a blow dry appointment is booked. Please do not eat or speak on your mobile phone during makeup application. Please do not sit children/babies on your lap whilst having your hair styled or makeup applied. For their own safety please ensure that children are kept away from our styling tools and products at all times. Styling irons are extremely hot, and hazardous, and we will not be held responsible if a child is injured as a result of the parent or carer not being present. If the wedding location changes dramatically we reserve the right to cancel the booking or request an overnight stay to accommodate the distance. Please do check with Laura Sutherland Makeup for any last minute availability for any bookings. Any bookings made within 24 hours will be payable in ‘cash’ on the day. If it is a wedding or large booking within 7 days prior to the occasion, yhe full amount will be required via bank transfer. 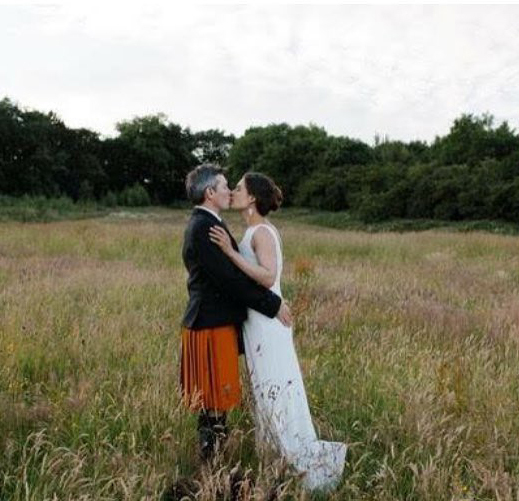 Please note that Laura Sutherland Makeup prefers to have a minimum booking number for Friday, Saturday and Sunday morning weddings with a minimum of 5 services required at a cost of £250. Parental consent is required for persons under the age of 14. Laura Sutherland Makeup uses only premium, high-quality, professional skincare and cosmetic brands including Decleor, NARS, RCMA, Viseart, MAC, Airbase, Chanel, Tom Ford, Kevin Aucoin, Bobbi Brown, Louise Young Cosmetics and Skindinavia amongst others. These products are chosen to ensure that your makeup lasts all day and into the night. Driving travelling charges at a rate of 50 pence per mile are included from EH6 4NY or DD6 8AN depending on your wedding location. Parking costs will be included if there is no free car parking. If it is a city centre location where parking restrictions will be inhibit times etc. it may be necessary to travel via taxi to transport makeup and hair kits, lighting and chair etc. The cost of the taxi in both directions will be priced in advance and added to the costs. This should be discussed at the trial stage. If the travelling is more than 1 hr 30 mins away (single distance, not there and back) it may be necessary to provide accommodation the night before at the venue to ensure a prompt start. If this is the case I can tailor a beauty package to suit you (massage, brow shaping, lash timing and gel nails etc) the evening before if desired. Please ask for details. Due to the fact stylists will be travelling to your venue away from the salon an additional £5 per 30mins travelling time to and from your location will be added to costs to cover loss of revenue. Should any members of the client’s party become abusive, threatening, offensive and/or violent; we reserve the right to terminate the service without a refund. The client will first be asked to resolve the situation, however, it continues it will be considered a breach of contract and all services will immediately be terminated. Please refrain from smoking in the preparation area. Drug taking and excessive alcohol consumption is not permitted. Laura Sutherland Makeup is delighted to help you in any way on your special occasion day whether it be helping you into your dress or assisting with any last minute fixes. However, please note this should be with the consent of the recipient and is not covered by insurance. Any pictures taken may be used to help market Laura Sutherland Makeup. If you would prefer any pictures not be used please just let me know and I will be happy to oblige. Following your special occasion please do send any professional images. It is a delight and pleasure to see clients at their special occasion event.